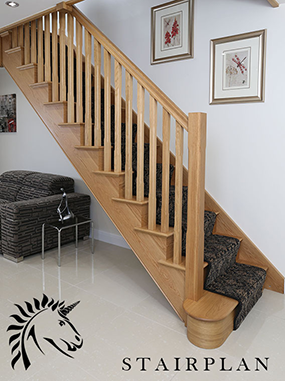 The Trade Range is our Entry Level Staircase, Constructed with a MDF tread the Trade Range Staircase offers value and function and the price point is slightly lower than the Craftsmans Pine specification which comes with a Pine tread. 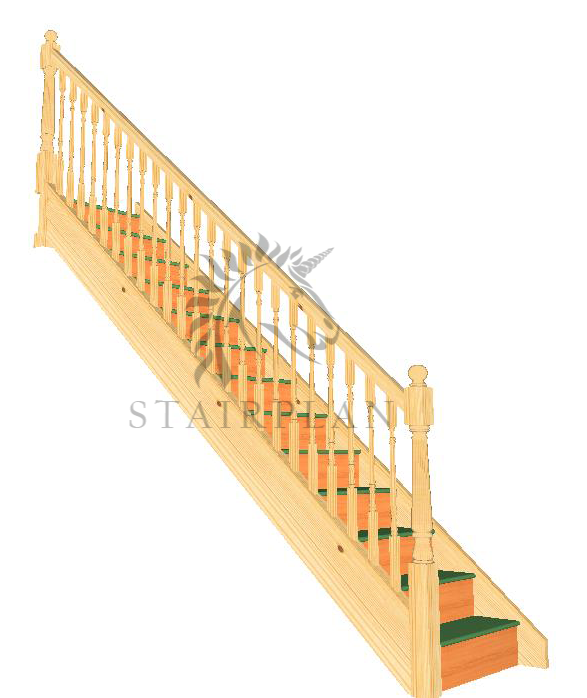 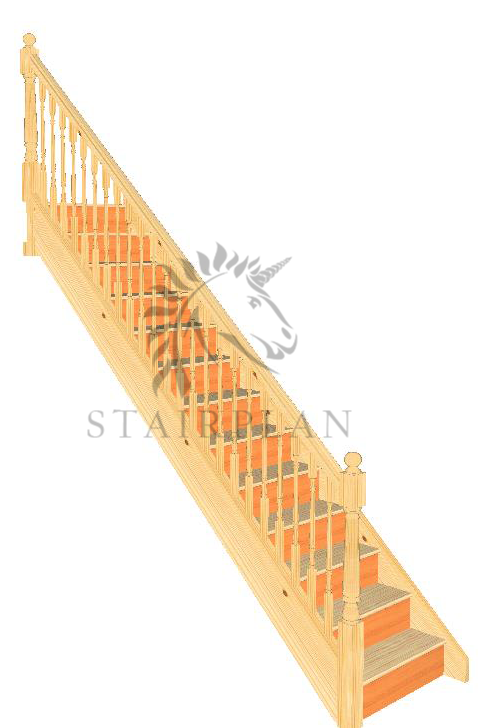 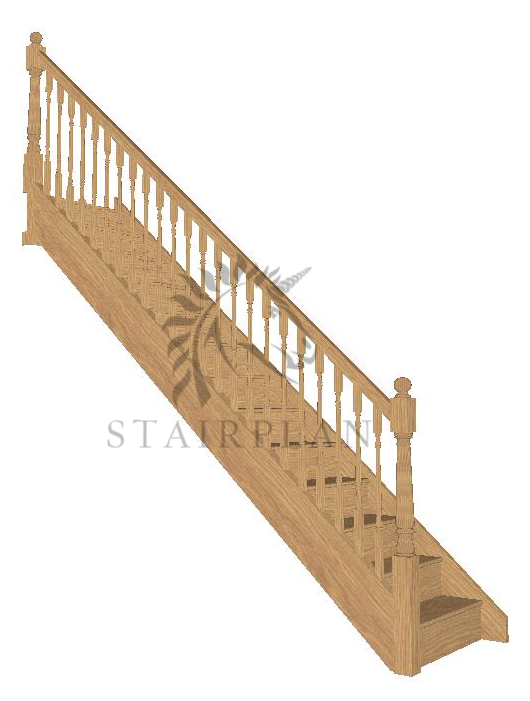 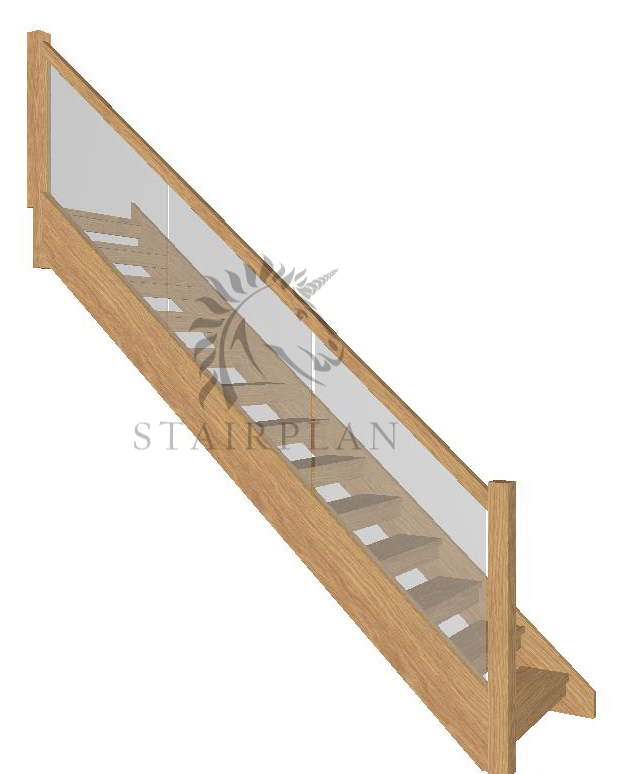 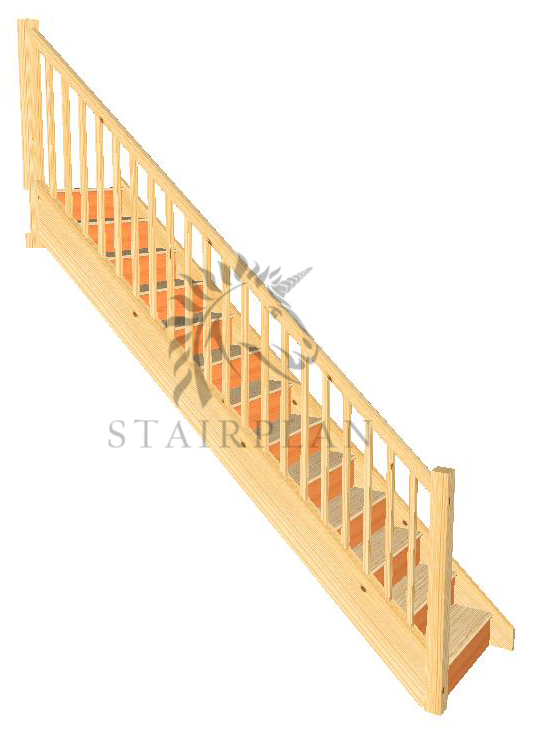 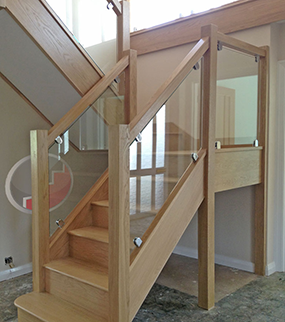 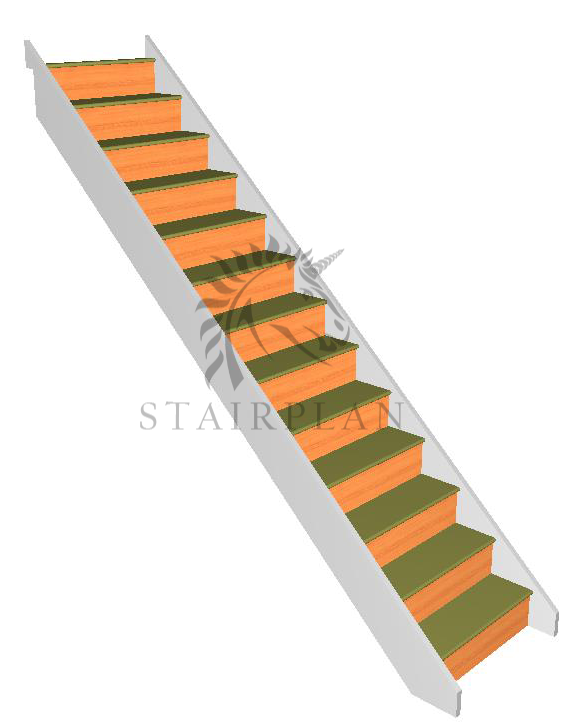 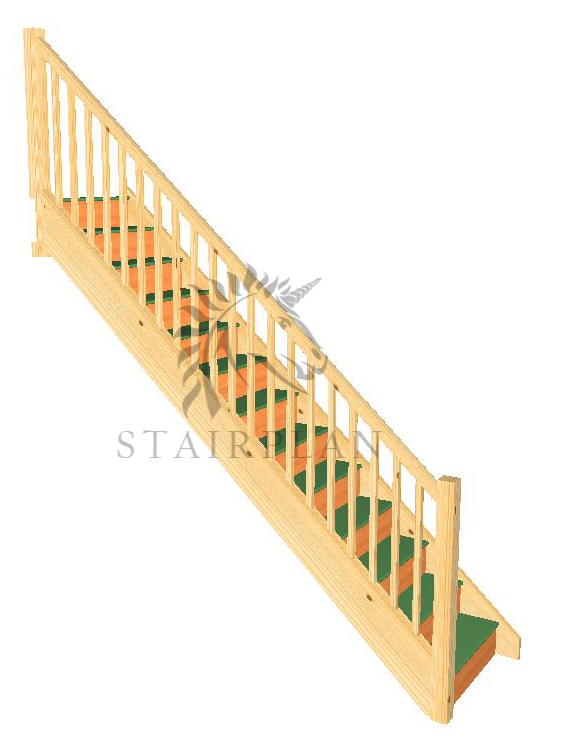 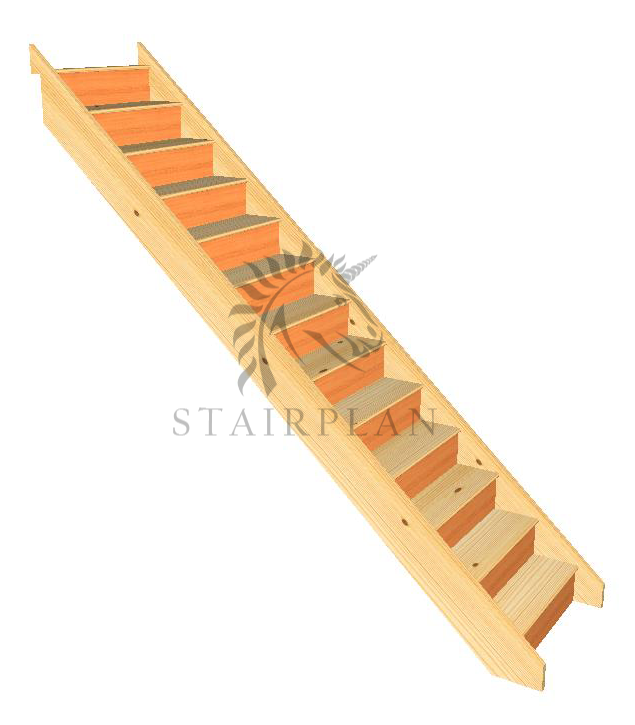 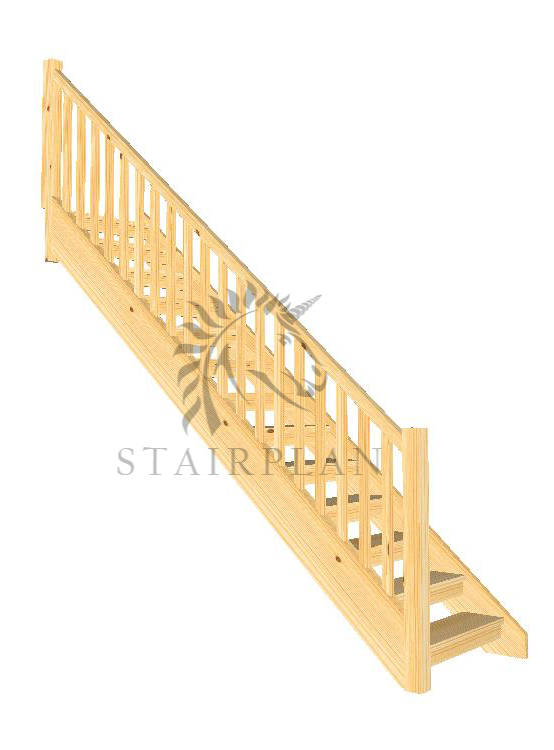 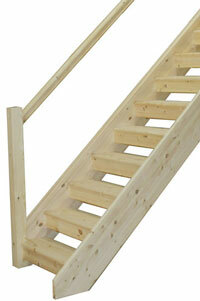 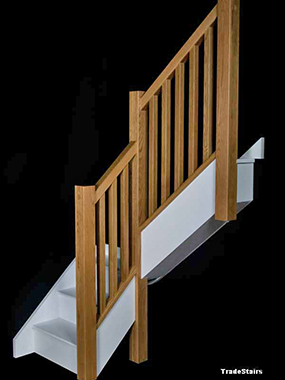 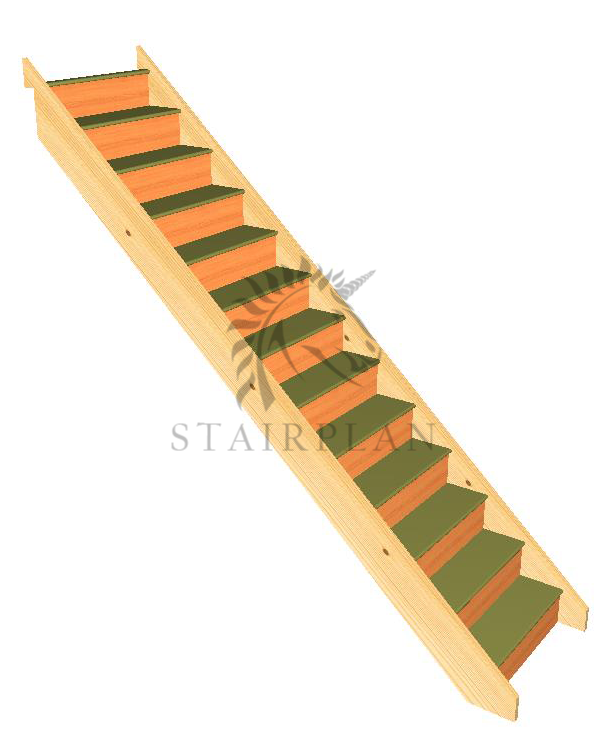 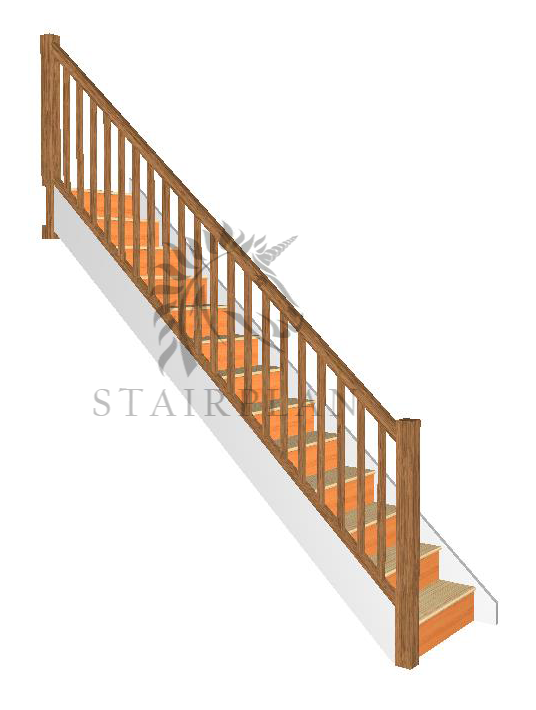 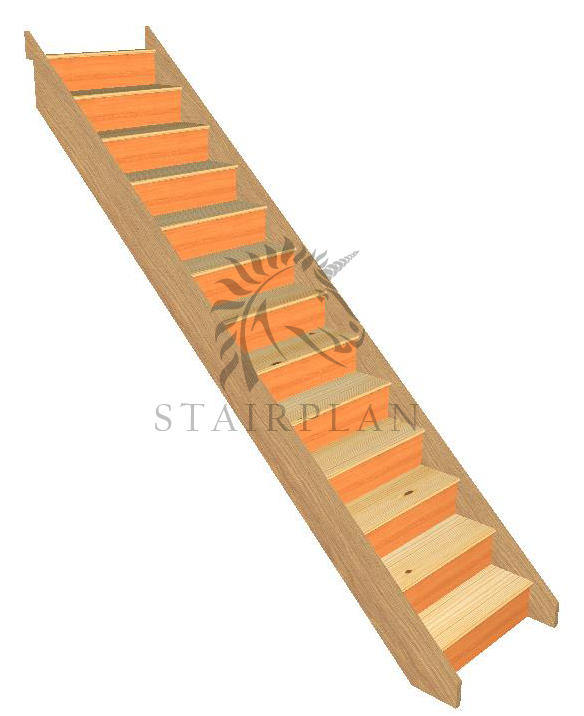 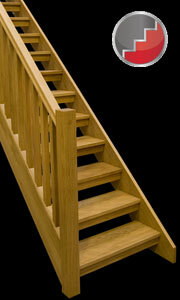 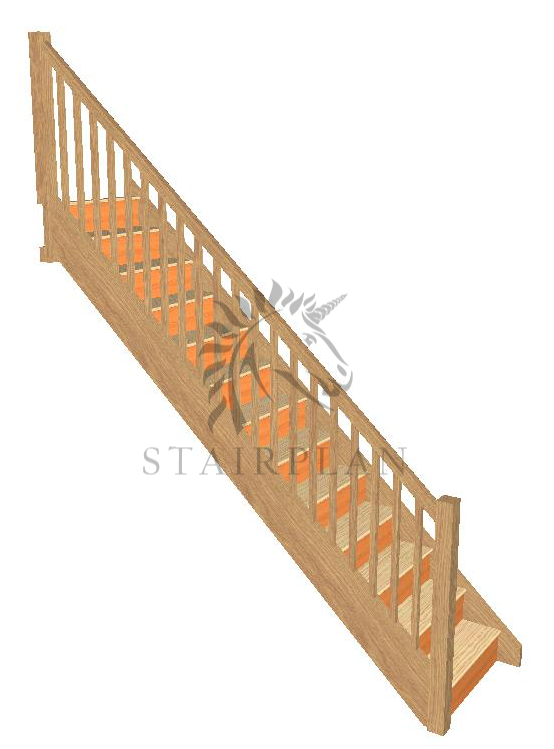 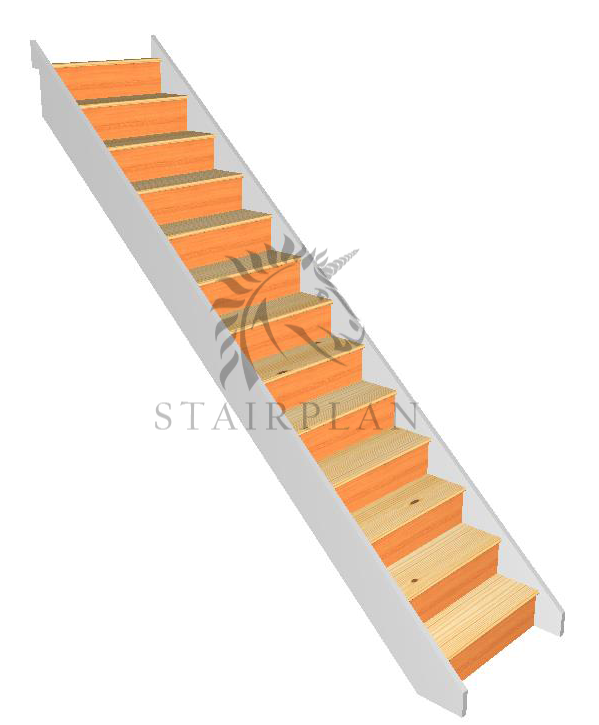 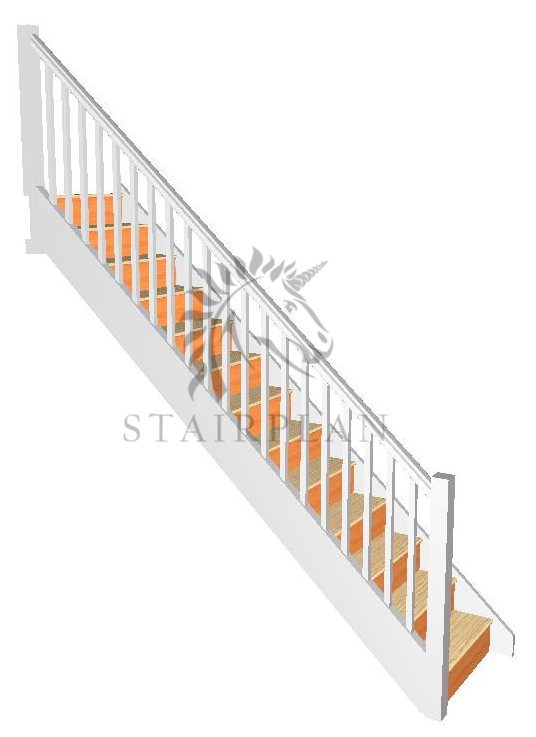 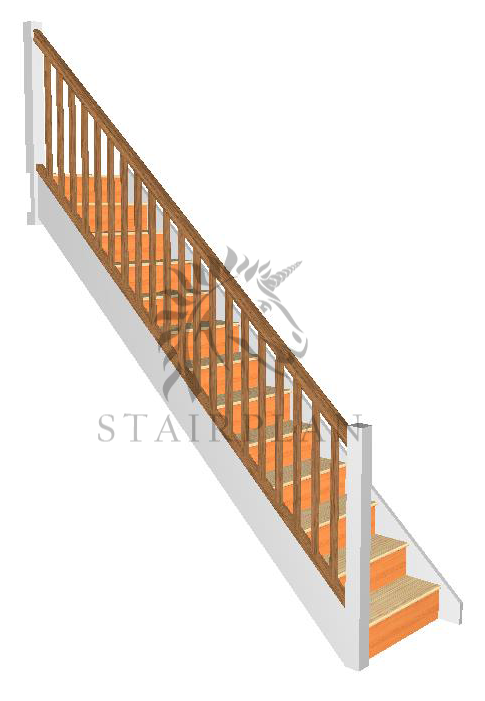 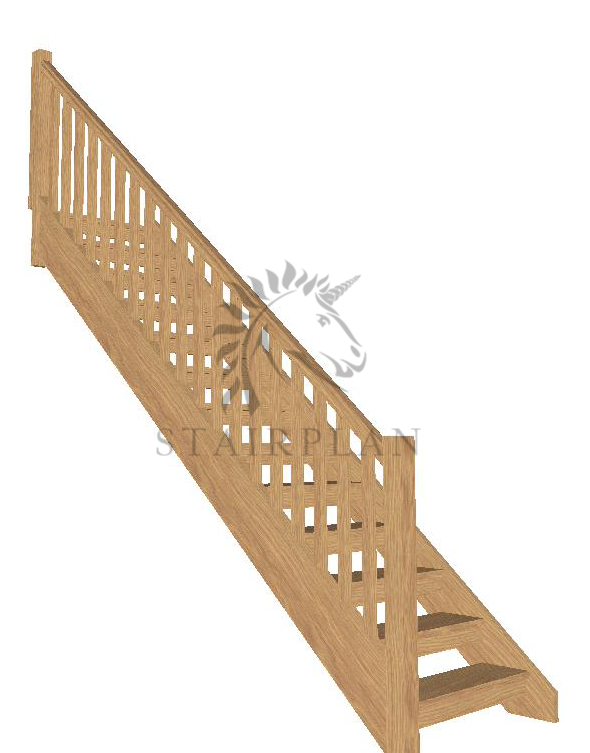 The Pine Openplan staircase is a Traditional Open riser staircase with a Half Riser Downstand. 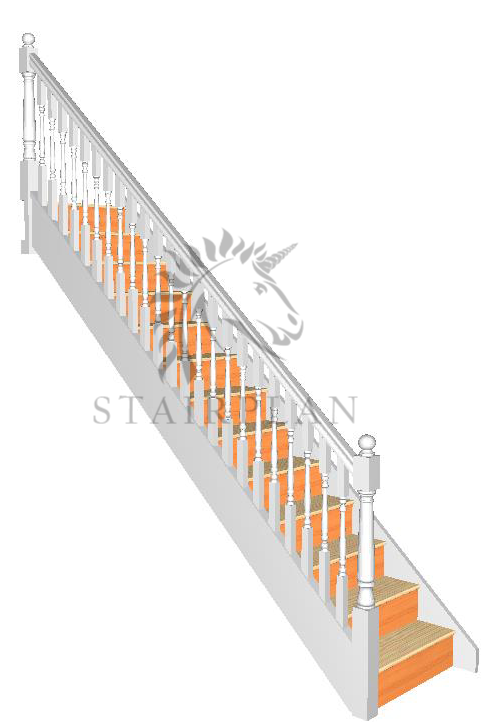 On the Newark Staircase you can specify the Handrail Profile as the NEHR Square Newark Section of the STHR Profiled section. 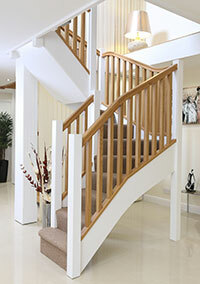 As Standard to pine parts would come raw but you can specify to have these Pre Primed white. 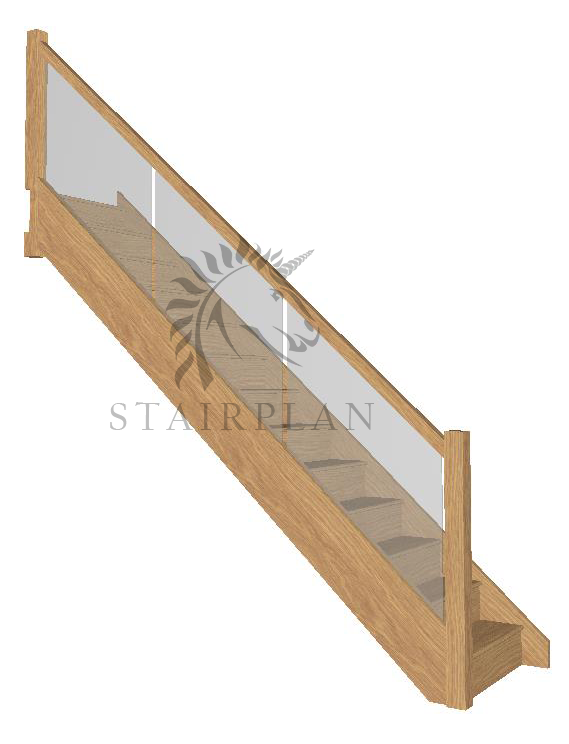 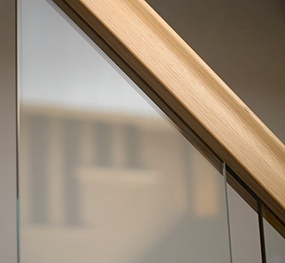 The Vision Glass Balustrade can be specied in smaller panels if preffered. 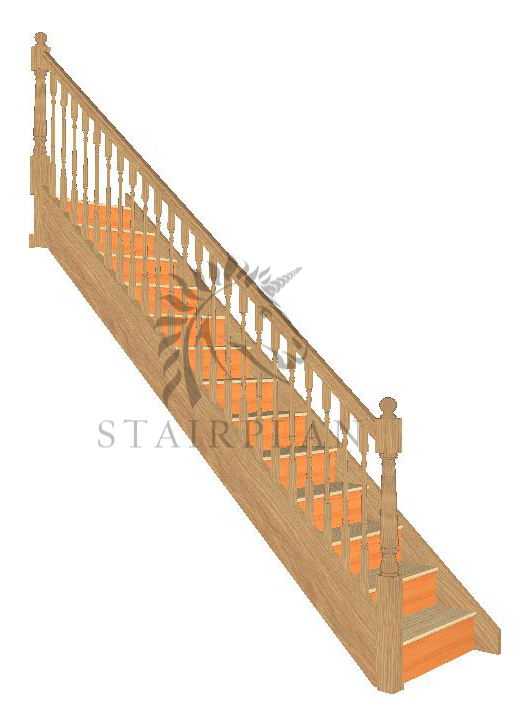 The staircase above is shown with a Double Curtail Entry step option. 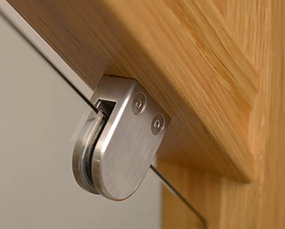 The SV-BRAC glass Clamp with its Brushed Finish is the Standard Bracket used. 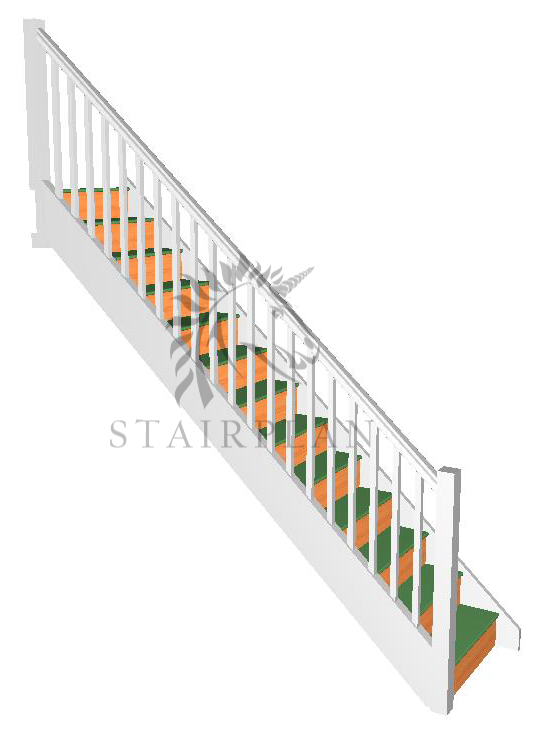 A Polished version is available at additional cost. 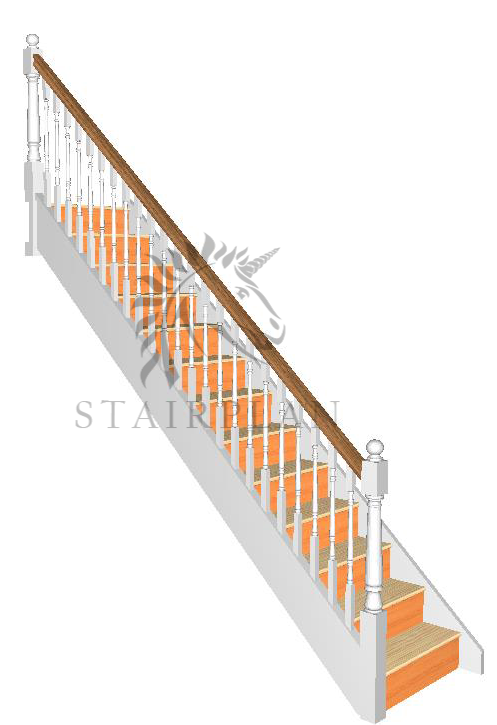 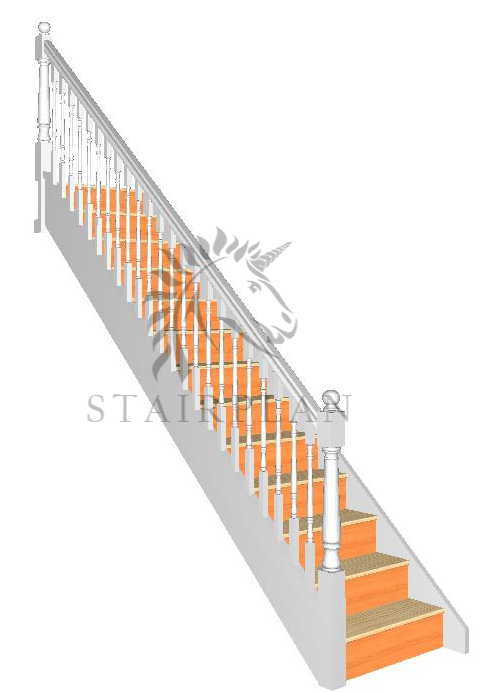 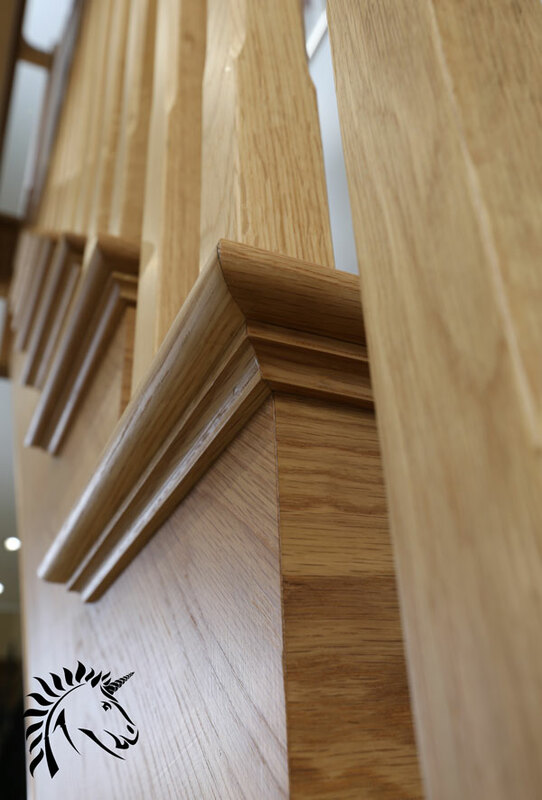 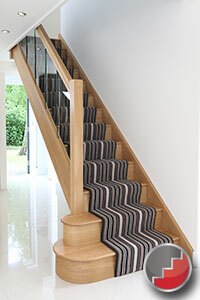 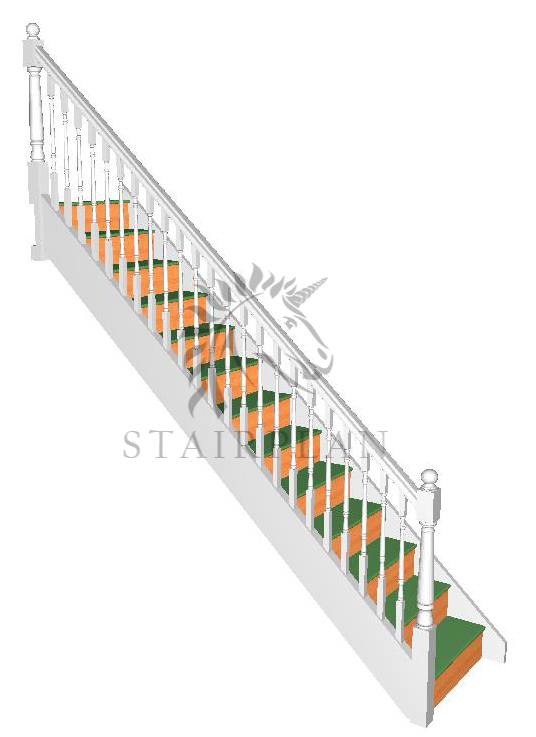 Stop Chamfered Newels & Balusters The Boston Staircase is available to view in the showroom. 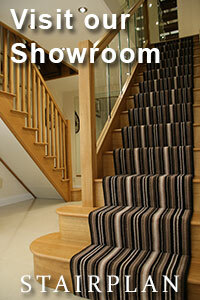 The Kensington Staircase is available to view in our showroom. 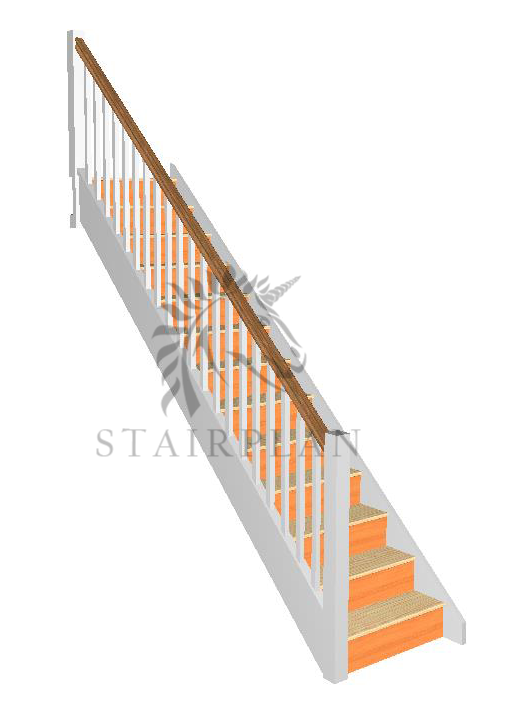 On the Kensington staircase the Riser is mitred directly to the stair string. 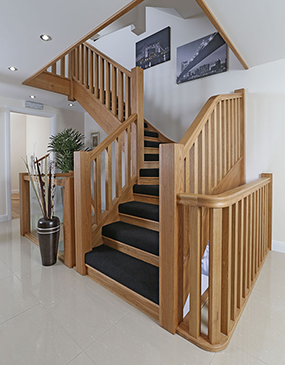 There is no decorative bracket on the face of the string keeping the look of the staircase more simple to suit todays more contemporary market. 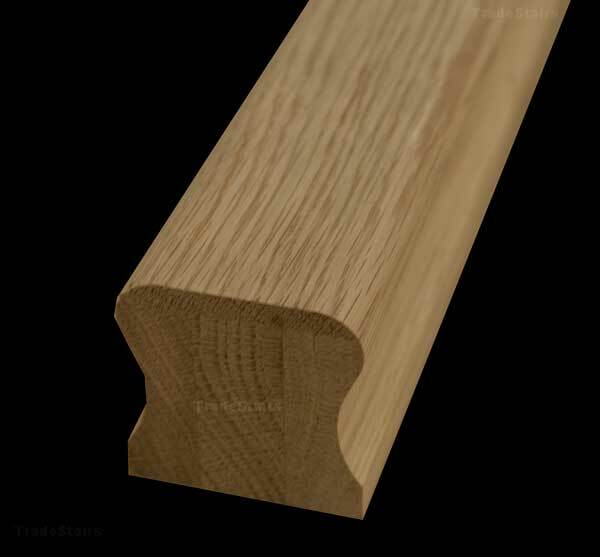 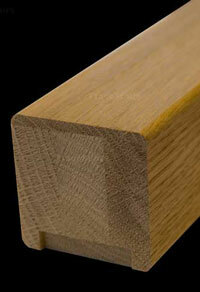 The Newel posts and balusters on the Kensington are Stop chamfered. 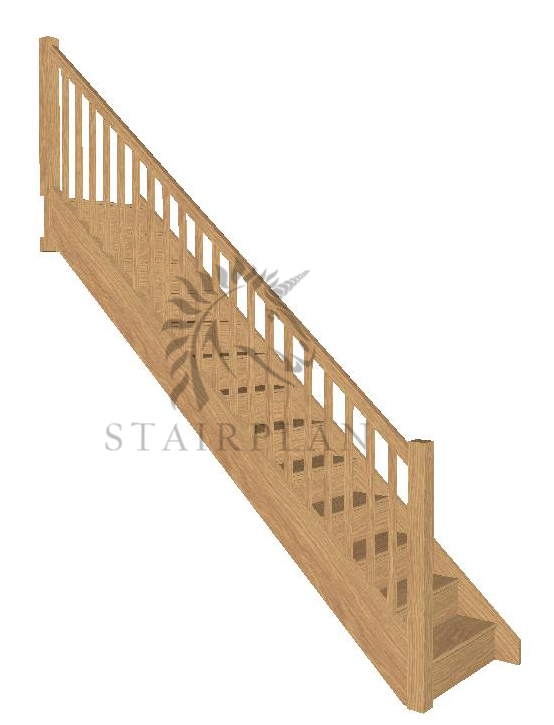 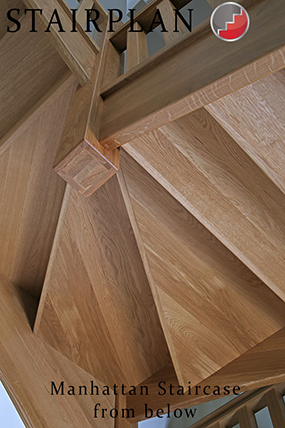 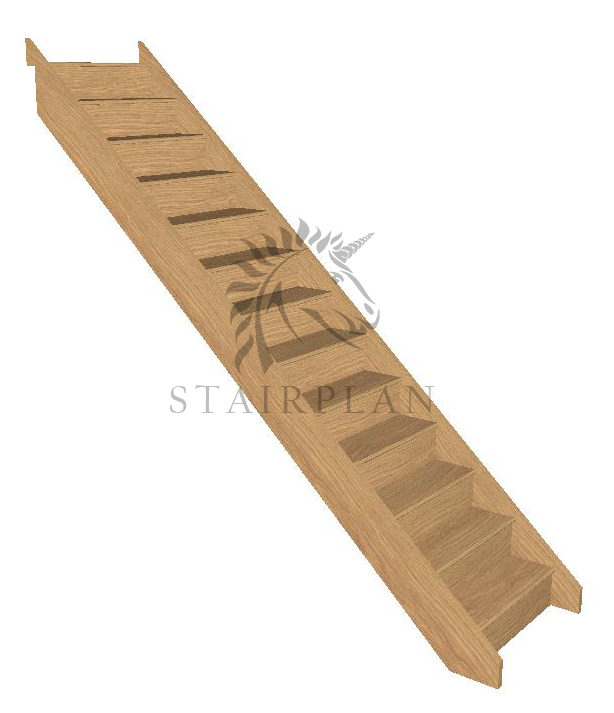 The Manhattan Oak Staircase is manufactured with a non conventional construction we have the new unique tread detail and a clean construction to the underside of the staircase. 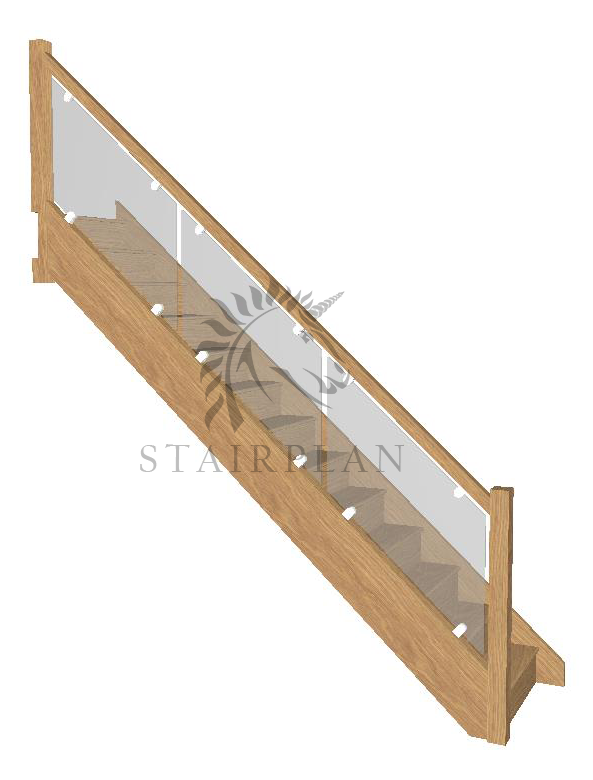 On the Manhattan Staircase the Recessed Vision Glass Balustrade or the Vision glass Balustrade options are both available. 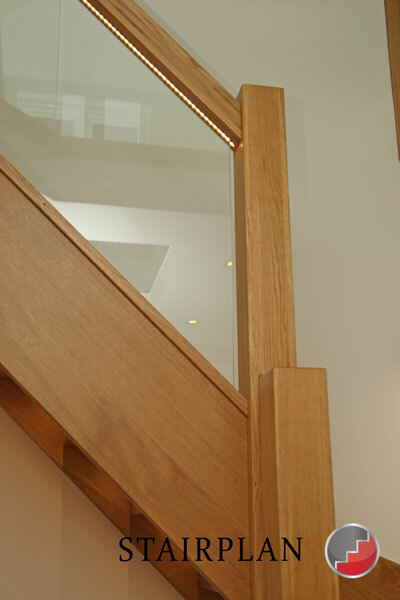 Shown above is a special bespoke option where a LED strip light is set into the handrail inline with the Glass. 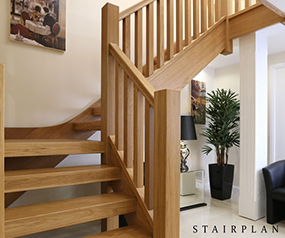 The Townsned Oak Staircase is a premium Oak openplan staircase, built with chunky 110mm treads and balustrades from the 120mm range the Townsend staircase has a dramatic presence.